Science is for more people than a few professors in white lab coats. These days, citizen science is an expanding field. Citizen science programs make opportunities for just about anyone who wants to get involved in some kinds of research -- people of any age, and anywhere in the world. We've had posts on our Sci/Why blog before about citizen science. You can click here to read about young Kirill Dudko, and his discovery. But science isn't all about only physical sciences like geology or biology -- there are social sciences too, as well as the expanding field of digital humanities, where computers are used to help for research in the arts and language study. There's a post on a blog called RadioLab, which you can read here at this link, which talks about a citizen science project in which people can help to copy the words from papyrus scrolls that are thousands of years old. 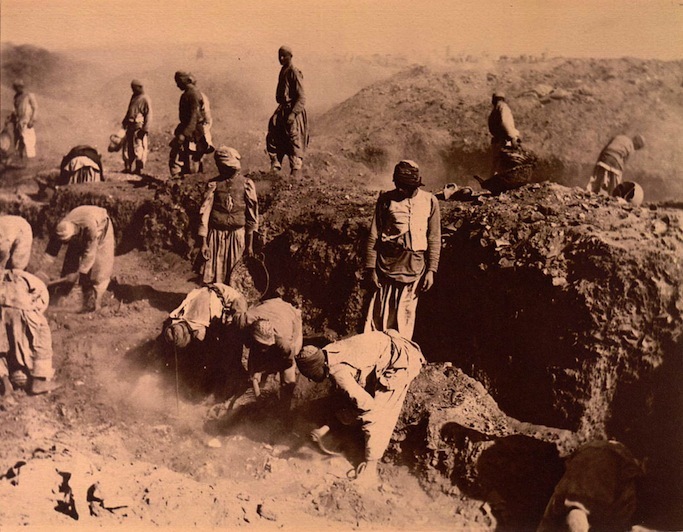 When Egyptologists Bernard Grenfell and Arthur Hunt and their team of locally-hired diggers discovered the garbage dumps of the ancient city of Oxyrhynchus in Egypt in 1896, they found an astonishing amount of old paper records made from papyrus reed. There were marriage records, Greek poetry, fragments of the gospels and many older papyrus pieces. This discovery was the beginning of the science of papyrology: the study of ancient papyrus records. 700 boxes were brought to Oxford, holding a total of some 500,000 pieces of papyrus. Only a few of the boxes have been edited by scholars. There is a computer program now, which shows images of many of these papyrus pages. Volunteer researchers can go to a website, view a page, and record any letters written in the Greek language. Volunteers don't need to read Greek, just match the shapes of the letters. Any work by volunteers is sent on to scholars for formal study. 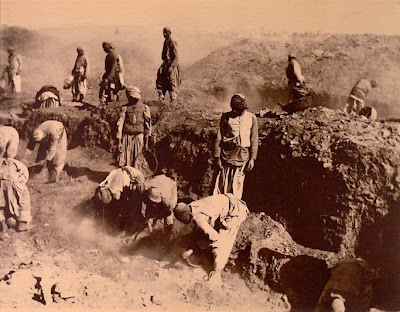 You can read about this exciting project at the Ancient Lives website. Radiolab website has many interesting short articles and audio recordings about science. Check out their 18-minute podcast on The Greatest Hits of Garbage, including the papyrus found in the trash heap at Oryrhynchus, Egypt. I'm in charge of the Lab Report Workshop. Proof students are actually listening! Many students hate writing lab reports. They don't see the point of recapping an experiment whose results are known a priori, and many of them are dismayed to discover that writing is a part of science at all. As one told me in a tone of abject disgust: "I didn't go in to science because I wanted to learn to spell." As science educators, how do we get students excited, not just about doing experiments, but communicating their results? I usually start my workshops by telling students how lab reports were invented - by chemist Robert Boyle, who in 1660 cofounded the Royal Society of London, where scientists met to share their experiments and discuss their ideas. For those who couldn't attend meetings, Boyle reasoned, why not write stuff down? That way, scientists all over the world would be able to repeat new experiments and see the results for themselves. 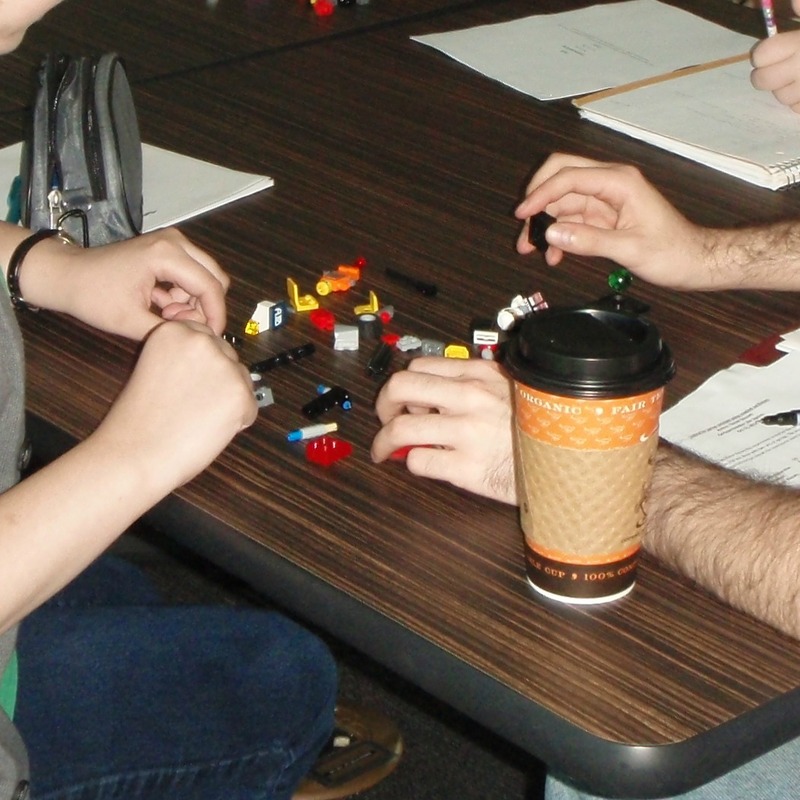 Once my students understand that lab reports aren't just for marks, they're how professional scientists talk to each other, I break out the Lego. That's right, I said Lego. Each group gets 6 pieces and 15 minutes. They record their steps as they build something. Then they break it down and pass the components, and instructions, to the next group. Each group gets 15 minutes to repeat the build based on the written Methods. I can't take credit for this idea, which the Centre's director encountered at a conference. I can tell you that it works like a charm. In a haze of childhood nostalgia, students play with toys, competing to see who can create the most interesting design from their alloted pieces. After the switch, among good-natured ribbing about illegible handwriting and sabotaged instructions, they suddenly realize just how much detail a Methods section needs to make an experiment truly reproducible. And while they came to the workshop skeptical and bored, they leave still talking about it. What about you, science teachers? How do you get your kids excited about lab reports? How do you teach them the difference between Results and Discussion, and what information goes where? Share your strategies in the comments - I'm always looking for a new approach! This blog, in a slightly different form, first appeared on the Eamer Science Services website (where I masquerade as a writer of science for grown-ups), but I thought it might be worth repeating the main points here. I spent most of May touring Ontario and talking about science with kids, mainly because one of my kids’ science books, Lizards in the Sky: Animals Where You Least Expect Them, was nominated for an award in the Ontario Library Association’s annual Forest of Reading competition. This was my first Forest of Reading nomination, and it was awesome! 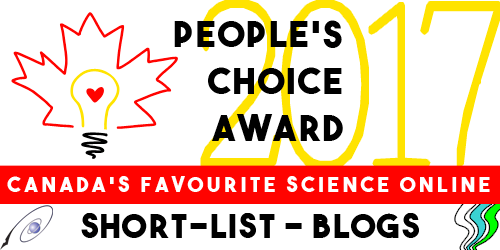 It’s a children’s choice award, which means that kids all over Ontario read the books and vote for their favourites. Even if you don’t win (I didn’t), you still win, because schools and libraries buy your books and kids read them. And, I found, they read with enthusiasm! I gave presentations at several schools on the Niagara Peninsula to audiences from kindergarten to Grade 8. In one case, the whole K-to-8 school was — rather alarmingly — in the audience. At a Toronto library, the mid-week afternoon audience ranged in age from two to roughly 70. To my amazement and pleasure, all the audiences were interested, attentive, courteous, full of questions, and enthusiastic about science. Toward the end of the month, I even spent an afternoon at the Canadian Museum of Nature in Ottawa, talking with kids and adults about animals, habitat, evolution, and the sheer joy of learning about all of them. The Forest of Reading wraps up with a two-day Festival of Reading at Harbourfront in Toronto. Thousands of kids and teachers attend, cheering on their favourite authors, swapping books, collecting autographs, getting their photographs taken with authors, and generally talking books-books-books with anyone and everyone. The whole experience was immensely encouraging to someone who cares about books and about science. Books are not dead. The kids love ‘em, in whatever form they find them. And they love science. 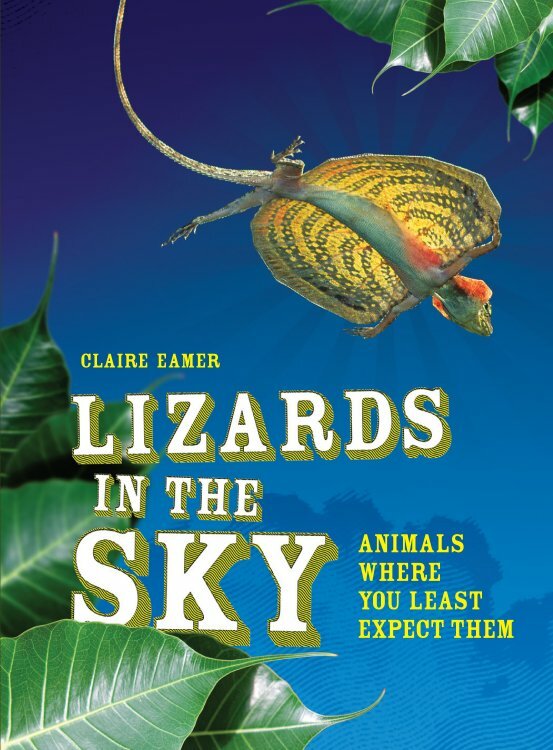 Both the kids and adults I talked to were full of smart, interesting questions about the science in Lizards in the Sky, and full of enthusiasm for the diversity of life that the book celebrates. My take-away message from a month of touring? If we can talk about science in an accessible way, people — both kids and adults — are more than ready to listen.